I decided it was about time to upgrade my main development machine to something modern and snappy. It is 5.5 years ago since I bought my current work horse, a dual-core AMD Athlon 64 X2 5600+ (2.8GHz) equipped thing. I’m using my machine primarily for development. I never game. I decided to go for the higher end of what’s available to get me something to live with for several years to come. 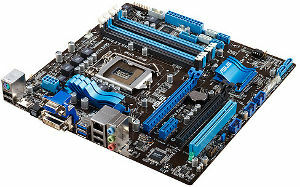 Motherboard: Asus P8Z77-M. Micro-ATX. Intel Z77 chipset. 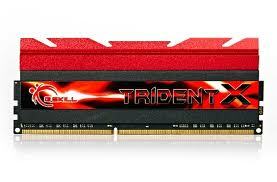 Memory: TridentX DDR3 PC19200/2400MHz CL10 2x8GB. 16GB of ram. HDD: Seagate Barracuda ST3000DM001 64MB 3TB. All in all, this has two 120mm chassi fans, one 135mm fan on the big CPU cooler and there’s one fan in the PSU. I hope they won’t be causing too much noise or problems for me. The rather low-end graphics should keep the total power consumption (and thus heat production) at a decent level. I purchased all the individual parts separately as I dislike how I can’t get an as optimized machine prebuilt from anywhere – I basically have to pay around 50% more, and then I still wouldn’t get the exact set of pieces I’d like. This way I also avoid the highly disturbing Microsoft tax prebuilt systems come with. Unfortunately I got some bad luck included too, as when I first put everything together and pressed the power button nothing happened. Well, a single led was turned on but nothing else happened. It took me a while and some sweat to figure out where the problem lied and once I replaced the broken motherboard it would start properly and then I could proceed and install it. Once my new machine (which now goes under the name Moo) gets settled, my old box will become my daughter’s new machine as hers existing tired old PIII machine isn’t really fun to do a lot with. I used to do the same, but when my current machine is retired (which is still a long way off) I will go for a smaller chassis, probably with passive cooling via the case. Only SSD and DVD in it. 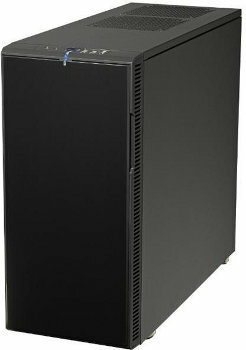 I want a powerful CPU for my development and some occasional video/photo editing, and with these high end things I wouldn’t go completely fanless… My box is very silent now, and I have it running 24/7. Have you put all new ingredients into old chassis ? I ask because my PC is just to retire and ask myself what is the best.